Do remember it’s Byob. Let’s put some smoke in the air! Take it off Tuesday 10% discount all day on your entire purchase at Stikz Cigar Lounge! Saturday October 21st 7pm to 2am “My Vocals Vs Everybody“ part 1 @therealtiaholt is back to rock the house like no other and she’s taking no prisoners! She wants everyone to know @stikz_cigar_lounge is her house! So be sure to come and experience “ My Vocals vs Everybody “ $20 per person - food and cigar included! Tonight it's going down Packers va Bears at @stikz_cigar_lounge Thursday night football 🏈 and game night 8pm everything jumps off! Sunday September 24th Stikz Cigar Lounge presents Hand Roller Sunday! @dblcigars will exclusively be in the building with authentic Cuban Hand Rollers! They will also have cigars specials all night with their exclusive line of cigars! Buy 3 get 1 free! Event kicks off at 5pm! Come and meet one of the baddest Jazz bands in New Jersey! Stikz Cigar Lounge presents Thursday night football come and watch the Texans take on the Bengals tonight 8pm! Tonight 7pm to 12am! Ladies get a complementary glass of wine per entry! No cover charge just good music great cigars and better service! Wednesday just became the NEW Friday of the week! Starting WEDNESDAY OCTOBER 19th at 7p.m. Stikz Cigars presents it first ever Official Game Night at ASH Bar & Grill 142 Bloomfield Ave Bloomfield, NJ. 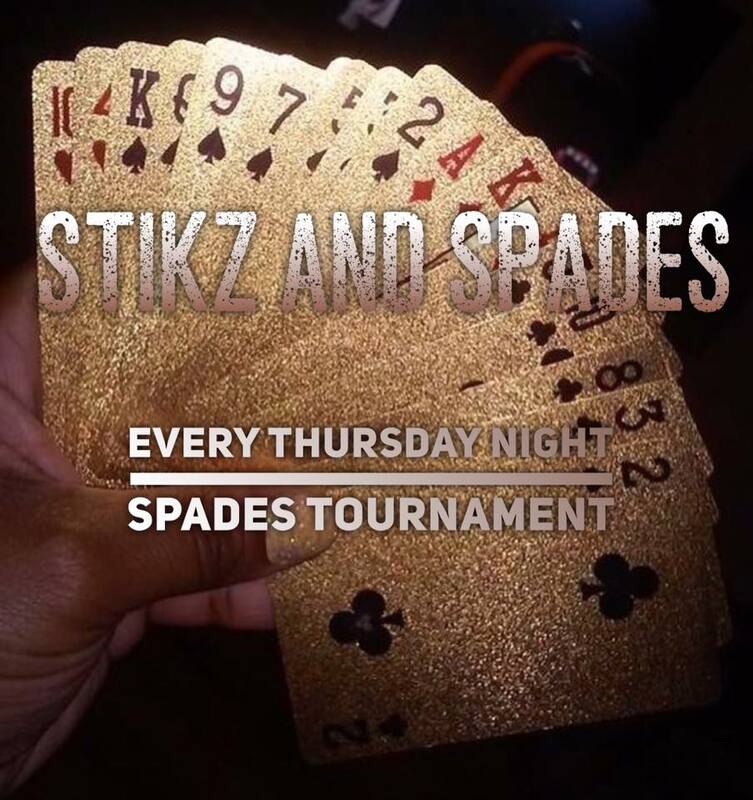 Come play some of your favorite games like Poker, Spades, Connect 4, UNO, Beer Pong and many more. Stikz Cigar Lounge will be at Columbus Drive and Hudson St in Jersey City with some of the finest vendors around today at 6th Borough Market 11am to 5pm! There will be a wide variety of vendors with something special just for you! Be sure to bring your friends and family!